Potato has a great impact on the economic and nutritional status of people worldwide. To capitalize on its potential, continued improvements in the current crop through breeding, production, and management technology are needed. We also need to expand potato use in diverse market outlets. In this review, we provide background on the challenge, examples of innovation in adapting other foods in response to changes in society, and explore several new possibilities for expansion of potato use. La papa tiene un gran impacto en el estado económico y nutricional de la gente en todo el mundo. Para capitalizar este potencial, necesitamos continuar en el mejoramiento del cultivo actual a través de mejoramiento genético, producción y tecnología de manejo. También necesitamos expandir el uso de la papa en diversos mercados de salida. En esta revisión, proporcionamos antecedentes en el reto, ejemplos de innovación en la adaptación de otros alimentos en respuesta a los cambios de la sociedad, y exploramos varias nuevas posibilidades para la expansión del uso de la papa. Potato is the most consumed vegetable worldwide, and among the most versatile and palatable of foods. According to the International Potato Center, potatoes have a water utilization efficiency up to seven times greater than cereal crops, meaning they can produce more food per unit of water than any other major food crop (International Potato Center (CIP) 2018), thus is in a particularly good position to have major nutritional and economic impact on society. Half of the world’s 7.4B people have a nutritional problem, with about 2B hungry or malnourished and 2B overweight (Sharma et al. 2016). Potato improvement can address all of these problems. Potatoes are over-produced in the USA, prompting supply-adjusting consortia like United Potato Growers of America (Klompein 2017). 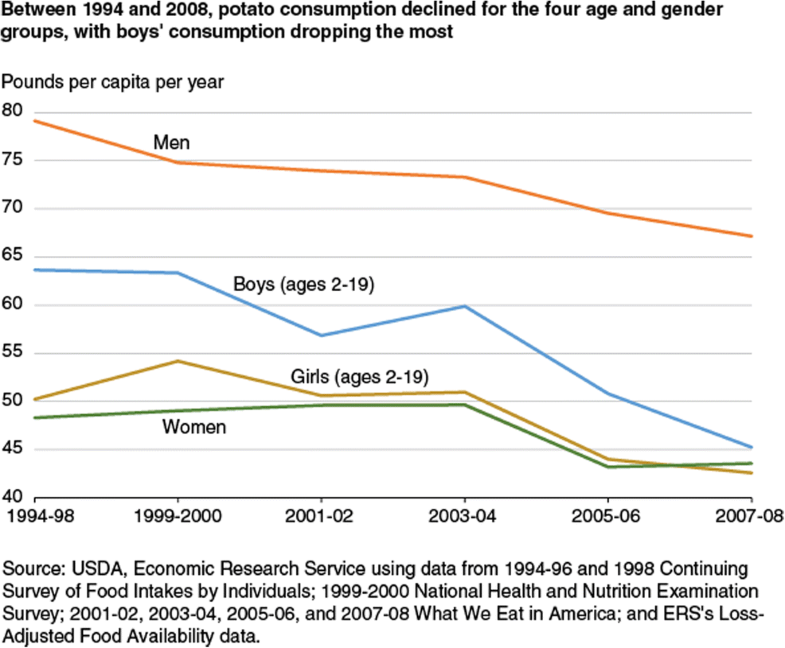 To make matters worse, potato consumption in the USA is reportedly declining, particularly by men and boys (Fig. 1). So societies like the USA need more potato demand and profitability. One approach is new potato products and other innovations that increase value while requiring little additional input cost, e.g., roasted potato menu items, increased flavor, color, and aroma (Gareau 2018). Some obvious approaches to increasing demand are: 1) increase waste post-purchase. 2) increase potato consumption that results in over-all greater food consumption, 3) replace other foods with potato. Fresh and processed vegetables are among the most wasted foods (Royte 2016), and some surveys identify potato as far exceeding other vegetables in avoidable losses (French Brooks 2012). The implied luxury of immoderate portions appears to be a technique used to enhance purchases of accompanying food packages (Fig. 2). More waste increases demand, but increasing waste is not a desirable strategy because it represents lost nutrition and food dollars for the consumer. On the other hand, a profitable and beneficial way to manage waste would be to reduce it in a way that adds value for the producer. Chicken feet used to be a waste product with a disposal cost until it was realized there is a profitable market for them in China (Hornby 2017). Potato peels are a waste product that might similarly be recovered for fiber or other uses (Schieber and Aranda-Saldana 2009). Very high quality standards are the basis of rejection of up to ¼ of tubers for fresh pack in Poland (Jakub Jazdon, Onix Co., personal communication). These examples provoke the question—are there better ways to maximize the nutritional and economic value of potato “byproducts”? Wealthy societies typically do not have robust population growth which would be a driver of increasing demand. 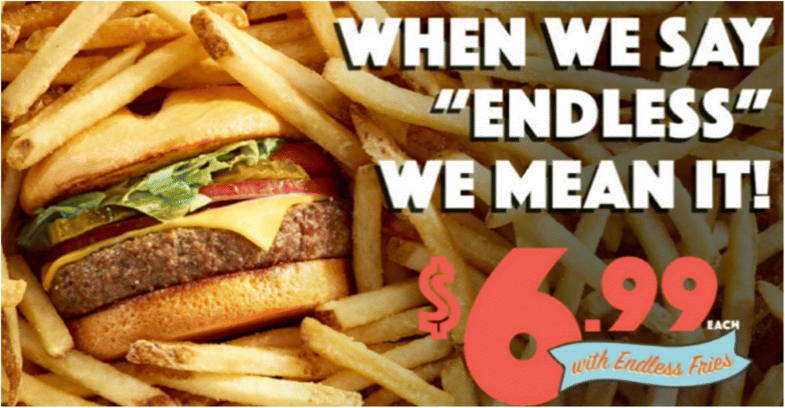 Unfortunately, a major type of nutritional problem is “over-fed”, often represented as serious obesity epidemics. So increasing potato demand by increased total per capita food consumption in rich societies is also not a desirable strategy, since it is against the interests of national health. If increased waste or total per capita consumption of food are not desirable, increased demand for potato must be accomplished by replacing other foods. But are food habits too strong to allow major replacement of foods?— maybe not. Chinese people like hickory nut sweet snacks, but hickory nuts are harder to produce than American pecans, which the Chinese consider to taste similar. When the pecan alternative was discovered ~10 years ago, demand and profit stability increase caused exports and value of pecans to double and spurred a great surge in research in production and management techniques and breeding (Zedan 2015). Pecans have a bit less protein and more fiber, but are otherwise similar in nutrients to hickory nuts (Skip the Pie 2017). What might be the impact of potato replacements? Potato replacements may take the form of replacing specialty potatoes for standard cultivars, processed for fresh, or convenience packs for bulk fresh forms. The prospects and impact of such within-potato changes are treated in other chapters of this issue. While nutritional gains might be realized by these within-potato replacements, they have the disadvantage of reducing demand for the replaced potato type. There are myriad examples of products that attract the consumer by suggesting delivery of nutritional qualities of whole grains, fruits and vegetables, while actually replacing those foods with a product that, while perhaps more tasty and convenient, mostly contains sugar, salt, fat and food coloring. So desirable potato replacements should have a real positive nutritional impact. Replacing grains with potato products could have a positive health impact in several ways in which grains are at a distinct disadvantage. 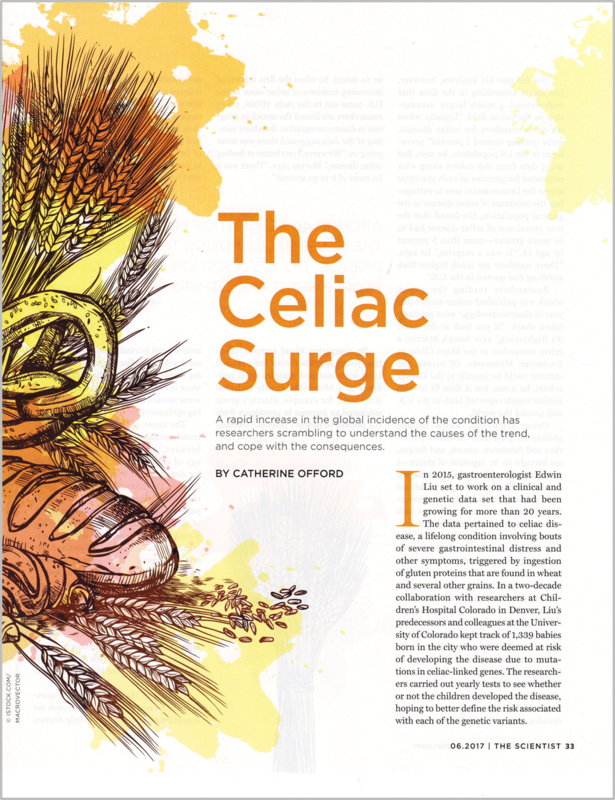 The rapid increase in the global diagnosis of celiac disease (Fig. 3) could be mitigated by a switch to non-grain alternatives like potato. Grains are low in these nutrients, while potato is very high. 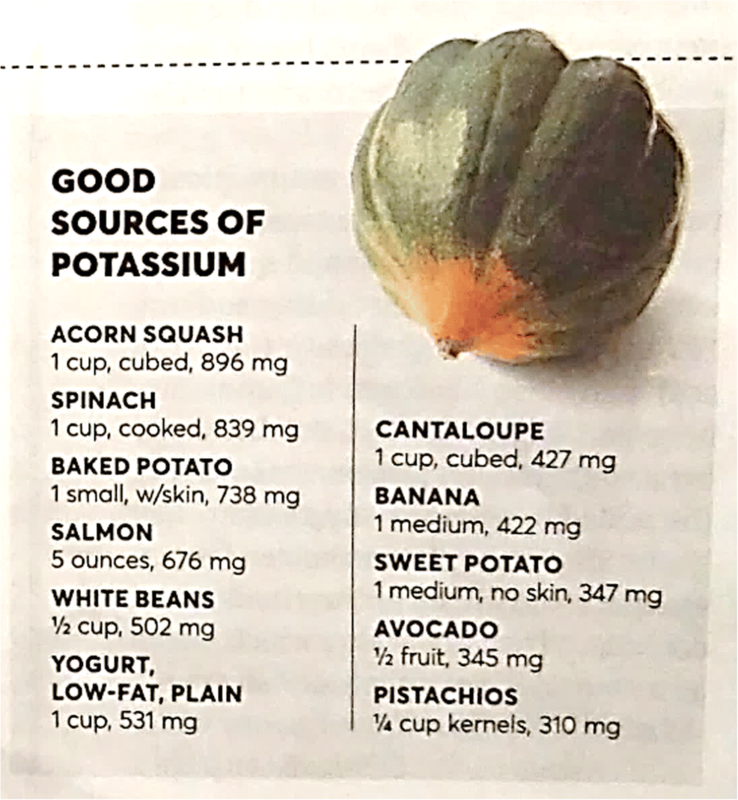 In the case of potassium, for example, US daily intake is less than half of the recommended 4700 mg needed to optimize cardiovascular health, reduce stroke risk (Wadyka 2017; Welton 2018), and improve bone density (Macdonald et al. 2005). Public recognition of dietary acid imbalance has a long history (Berolzheimer 1927), in modern times being measured by nutritional researchers as potential renal acid load, or PRAL (Remer and Manz 1995). It is increasingly recognized as a contributor to progressive bone and muscle loss (Liebman 2017). Grains contribute to PRAL, while vegetables mitigate it. Weighted by US consumption, potato has a far greater mitigating influence on PRAL than any other common vegetable (Table 1). Societies suffering from obesity need foods that have a high index of satiety per calorie. As shown in Fig. 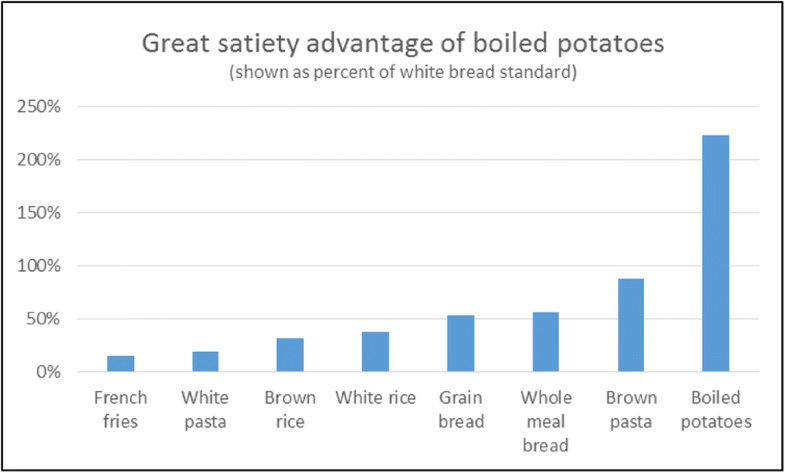 4, plain boiled potatoes are remarkably higher than comparable foods. (Holt et al. 1995; Erdmann et al. 2007; Anderson et al. 2013). Of course, some of these advantages of potatoes could likely be extended even more with breeding (Hirishi 2009; Rajiv 2016), considering the great breadth of nutrient expression in germplasm (Bamberg et al. 2018; Kertzman 2017; Subramanian et al. 2017). Bakers intentionally sought to change bread’s image as a processed starch to an important source of whole grains, newly recognized by the public as a key part of a healthy diet. This contributed to the revolution in which brown bread sales surpassed that of white bread (Bobrow-Strain 2012). Independent scientists and industry advocates are similarly trying to correct the image of potato as a processed, starchy, fattening snack to a natural, nutrient-rich, diet-friendly vegetable (USPB 2015). Online grocery sales are projected to reach 20% or $100B by 2025 (FMI-Nielsen 2017), with Americans already buying as much food online as other products. Amazon recently acquired Whole Foods (Turner et al. 2017), perhaps signaling a promotion of online buying and direct delivery of finesse foods. If so, shopping from an online profile could put specialty products like potatoes with a variety of colors, shapes, and sizes on an equal virtual footing with more familiar vegetables. On the other hand, the exploding grocery delivery industry (Bollier 2017) could give an advantage to the most familiar foods like standard potatoes. Grocery stores put much effort into attractive presentation, free tasting samples, fresh delis, salad bars, and checkout aisle offerings in an attempt to impress shoppers in person and promote impulse purchases. These inducements will be lost with surrogate shopping, so the buyer might favor the most familiar, easily-imagined staples like potatoes when making his shopping list. The prosaic image of Hush Puppies shoes became an advantage that drove a remarkable surge in sales when marketed as being a “not fancy, not phony, comfortable shoe” (Gladwell 2000). To the extent that similar “back-to-basics” trends will continue to occur for food, standard potato varieties will benefit from their image as a simple, familiar comfort food. When popular nutrition magazines highlight a certain nutrient, they often rank foods with high levels, ignoring the practical drivers of food use. For example, a recent issue of Consumer Reports on Health (Wadyka 2017) featuring potassium provided such a list, with the top choice and pictured vegetable being acorn squash (Fig. 5). But when ERS (2016) provided a price comparison of common Thanksgiving foods, acorn squash was the most costly. Many popular articles propose that eating a balanced diet of vegetables will provide sufficient potassium. How so? Very few individuals get the current daily recommended intake of 4700 mg, and averages are especially low among adult Afro-American females (Hoy and Goldman 2012). The over-all average intake is less than half of recommendations. How would one double potassium intake to get the remaining 2350 mg per day and benefit from the 21% reported reduction in risk of being one of the 795,000 stroke victims each year in the US (CDC 2017)? Since it is not reasonable to double total food intake one must make the dietary change to eating higher-potassium foods. If this is done by adding foods with medium potassium content, it would require eating 2–3 pounds more per day of common vegetables like tomatoes, carrots, peas, corn, onions, and broccoli (USDA 2017), and a corresponding reduction of current low-potassium foods in the diet to keep net calories unchanged. Minimizing dietary changes requires the adoption of high-potassium foods. The daily portions (weights as purchased) one would need to consume to get an additional 2350 mg of potassium per day vary greatly by food source. Based on USDA nutrient data, food consumption habits would have to undergo a very dramatic change from current familiar levels, to eating 170 times as much squash and 32 times as much banana (Fig. 6). One would also need to reduce a compensating number of calories to avoid weight gain, and pay the indicated purchase price per year. So, despite media suggestions to the contrary, if one considers availability, ease of preparation, palatability, current consumption (familiarity), and price, the practical strategy for increasing potassium appears to be eating more potato. Recent reports suggest exotic germplasm could be used in breeding to raise potassium in cultivated potato even more (Subramanian et al. 2017). Potatoes have among the lowest food costs per unit of potassium, fiber, and vitamin C (Drewnowski and Rehm 2013; King and Slavin 2013) and combine that economy with high nutrient density and consumer acceptance. Potato has more natural potassium than most other foods, and being a savory food, has the potential to be used with potassium-based salt substitutes that would provide a double advantage not relevant to unsalted sweet foods like bananas. The salt substitutes market is expected to be $1.5B in the near future, and food chemists are working hard on making flavor improvements that could greatly expand use of potassium salt (Coherent Market Insights 2018). Based on current salting and consumption standards, the authors calculate that about 270 mg could be switched from being a sodium detriment to a potassium advantage in the US daily diet if potato foods were salted with potassium salt. Similar to potassium, many web searches identify “top” vitamin C foods as guava, currants, peppers, kale, papaya, Brussels sprouts and kiwi. The per capita consumption of these foods is currently insignificant with dim prospects of major increases. In contrast, the current average 150 g/d per capita potato consumption in the US already provides about half of daily vitamin C needs. 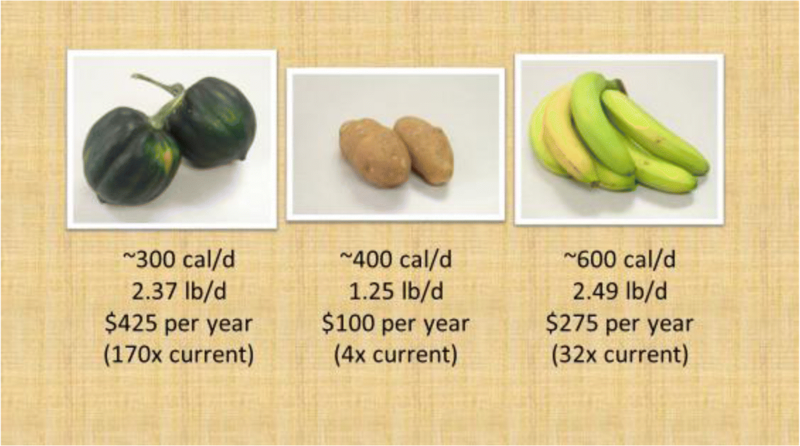 These examples illustrate that an increase in consumer awareness of practical potato advantages in price, availability, ease of preparation, and palatability, would be expected to increase demand. The history and outlook for GM potato is thoroughly reviewed by Halterman et al. (2016), including the economic benefits. Reversing the beliefs and trends that currently make GM forms of potato unacceptable could create opportunities to expand potato use. However, consumer disapproval of GM foods is rapidly increasing, and corresponding sales of foods labeled as non-GM have skyrocketed from ~$1/3B in 2010 to $26B today (Higgins 2018). Some of the negative impression of GM foods is based on the misunderstanding that the eater is vulnerable to assimilation of foreign DNA and thereby foreign traits in his food (The Daily Show 2015). Similarly, many of the tenets of the “clean food” movement are not based on good scientific evidence that there is actually anything “dirty” about standard food (Stanton 2017). A rational approach to new technology would objectively and quantitatively compare risks and benefits, but most individuals, and even nutrition journalists do not do that well. For example, a recent popular article (Anon 2017) told readers all about acrylamide and how to reduce it, concluding with a recommendation of “avoiding it as much as possible” but without justifying that statement with quantification or context of potential risks. Some fear of the unknown is rational in light of the many disastrous unintended consequences of technology that were considered a good idea when first developed (Bellows 2009). But we often fail to fairly compare the risks of technology that has become familiar (like driving automobiles). For example, when fifty Nobel laureates were asked to rank the greatest threats to mankind, the top 57% of responses identified “Population rise / environmental degradation” and “Nuclear war” (Grove 2017) apparently not recognizing the irony that these are direct side effects of the modern science and technology for which those Nobel laureates were the most accomplished and influential advocates. On the other hand, we often fail to fairly consider the consequences of rejecting new technology. The simple, “good old days” we remember were really not so good (Bettmann 1974). Thus, those against GM foods may not balance new risks against the risks of, for example, current exposure to pesticides for farm workers, the environment, and consumers, that could be mitigated by new genetic technology (Halterman et al. 2016). Objective consumer preference is usually based on price and quality. Organic, local, non-GM foods are typically more expensive and do not have an obvious higher quality. Thus, if one wants to promote these foods, from financial or philosophical motives, there will be a bias toward exaggeration of the faults of foods produced by competing means, like standard and GM (Popoff 2017). Thus, proponents of organic foods highlight pesticide exposure, even though potatoes, for example, are mostly eaten after peeling and cooking, which removes most residues (Bajwa and Sandhu 2014). On the other hand, some have explained the surge in resistance to GM foods by noting that GM-free is a much cheaper alternative than organic if the consumer wants the perception of making a healthy food-buying choice (Higgins 2018). One might argue that GMO would have a better image if the public recognized it as just another form of genetic modification done by the widely-accepted national genebanks and breeding efforts. Popular articles and documentaries recognize the value of preserving and deploying germplasm but often ignore the role of the US National Plant Germplasm System (Anon. 2016, Stone 2016, Seed 2018). Over the past 70 years, NPGS has developed infrastructure and experience in over 20 major genebanks, currently employs over 300 crop collectors, researchers, curators and breeders, and maintains 560,000 accessions of which nearly half are distributed each year (Bretting 2017). If the history, scope, positive impact, and safety of past crop genetic improvement was more broadly appreciated by the public, GM food might not seem so novel or risky. 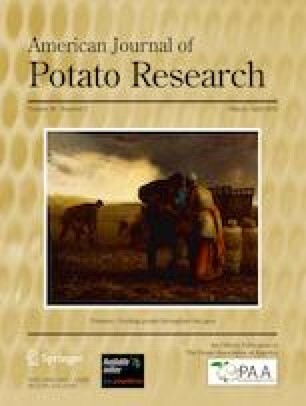 Crop genetic improvement for potato might be better known and have a better image if we more intentionally linked it to related issues the public does know and care about, like better food quality and security, meeting the challenges of climate change, improved nutrition for better health and reduced healthcare costs, and protecting the environment. A significant part of this controversy is the contention that there is a conspiracy to attack any scientists who produce results that could threaten the profits of large biotech companies. It is alleged that insufficient testing of GM foods is risking public health, destruction of the environment, and native and commercial crop germplasm (Verhaag 2009, Fig. 8). When Taco Bell started selling Doritos as a taco shell on “Doritos Locos” in 2012, more than a million units per day were purchased in the first year and they had to hire about 15,000 additional workers to keep up with demand (Lutz 2014). What similar novel pairings are possible for potato? Delicious, easy-prep potato dishes are reportedly an attractive offering in coffee shops, the fastest growing food industry in Korea (Potatoes USA 2018). Sales of bread and related baked goods made from grain totaled over $36B in the US in 2016 (Statista 2017). The amount of potato flour that can be added to dough is limited by crumb and density quality standards (Yanez et al. 1981). Artificial gums are needed to replace gluten. Is there germplasm diversity for natural gums in potato?—we detect no evaluation and breeding effort in the literature for improved potato flour. Potatoes USA is working on using potato as an ingredient in noodles and many other products (USPB 2015). The US beer market in 2016 totaled nearly $107.6 B, of which $23.5 B was craft brews. 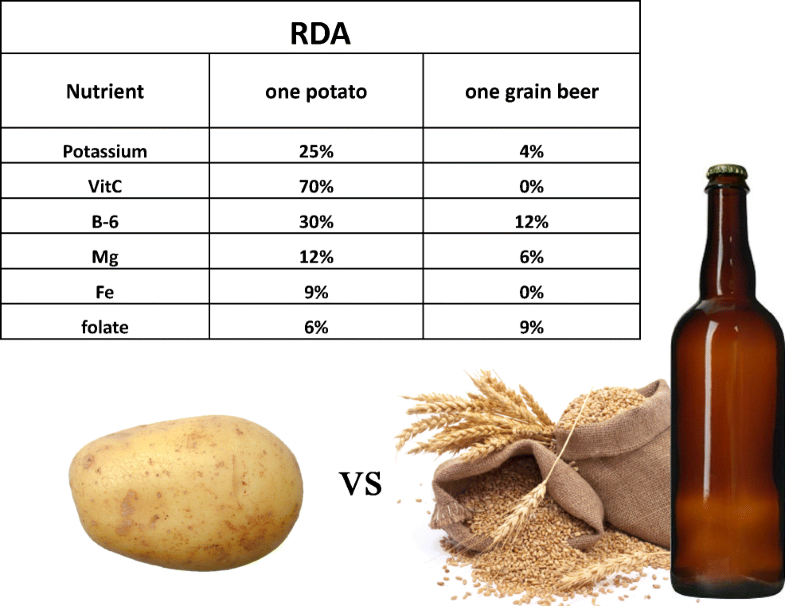 If one potato was used to brew each bottle consumed, the US potato crop would need to approximately double to meet the demand, and significant nutrient intake advantages previously mentioned would be expected compared to current grain beer: less gluten, more potassium and other nutrients, less PRAL (Fig. 9). USPG is currently researching how to maximize potato contribution, nutrients and taste in beer. Consumption is going down for grain breakfast “cereal”, but was a $9B market in 2017 (Gasparro 2018). Why is there no sweetened potato flake alternative to grain? Kashi offers a breakfast “cereal” called “Organic Sweet Potato sunshine” made from sweetpotato. Surprisingly, savory potato chips are already significantly eaten for breakfast (Reece 2017), so maybe a natural bridge to sweet breakfast “chips” is possible. Breakfast cereal brands have tried the reciprocal approach, marketing their product as snacks for non-breakfast meals (Nassauer 2014; Gasparro 2018). Could free potato appetizers follow the model of free corn chips and salsa in Mexican restaurants? That might introduce a lot of consumers to specialty potatoes, and would seem to have natural appeal in countries like Peru where potato has a strong national identity. USPB has deployed potato wedge snacks to movie theaters in Mexico as a popcorn alternative (USPB 2015). Lim (2003) released the cultivar Purple Valley as being suited for raw salad consumption (Fig. 10) and Juice Valley for juice. US sales of carrots as a raw snack are about $834 M/y. Their popularity probably depends greatly on sweetness. Sweetness is deselected in typical potato breeding programs because it results in dark fried products, but presumably this could be easily reversed to the objective of a naturally sweeter raw potato. Cooking provides the benefit of destroying most foodborne allergens and pathogens. On the other hand, raw potato is high in resistant starch, increasingly recognized as beneficial for prevention and treatment of obesity-related diseases (Zhang et al. 2015; Raatz et al. 2016). This article addresses human food and nutrition. But the increasing trend to consider pets as part of the family, extending to them considerations like “clean-label”, weight loss and mental sharpness functional ingredients justifies brief mention here. And the $26B annual pet food market in the USA (Food Processing 2018) has a greater economic impact then several human food alternative outlets we have mentioned. Over 20% of dog and cat food recipes currently include potato (Plantz 2018). Websites giving recipes using sweetpotato for home-made dog treats are available (Zenner 2016), but dogs like them made with regular potatoes just as much (S. Jansky personal communication). There is no obvious reason why efforts to enhance the economic and health advantages of potato foods for humans would not also apply to pet food. Potato protein is commercially extracted as product name “Solanic” by the Avebe company (Avebe 2017). They advertise it as superior to other vegetable sources in dietary and processing quality, and with lower allergenicity than legume proteins. The number of US consumers claiming to be vegetarians has rapidly grown in recent years (Global Data 2017). Some have predicted that the world’s growing population and food production limits will require a diet of mostly plant foods for most people by 2050 (Vidal 2012). Vegetable-based faux meat sales were $553 million in 2012, said to be doubling annually (Garfield 2017), so could increase demand for high quality vegetable protein like that of potato. The estimated annual cost of diabetes in the US is predicted to reach a staggering $494B by 2030 with non-insulin drug therapy accounting for about $59B. Biguanides, compounds related to the anti-diabetes drug Metformin have been reported in cultivated potato (Perla and Jayanty 2013), and screening in more diverse germplasm from USPG is underway. Metformin is also being tested as an anti-aging drug, which, if effective, by itself could save an estimated $140B in healthcare costs per year in the US (Oaklander 2016). Antioxidants in potato are covered in other chapters of this issue. They are thought to address a wide range of diseases, as well as protect from carcinogens and heavy metal toxicity, all representing very high costs and suffering to society. Osteoarthritis, for example, is estimated by the CDC (2017) to cost society $186B annually. Ultra-high antioxidant potato germplasm has been discovered in USPG stocks (Pillai et al. 2013). Potato is also known to have potent anti-cancer compounds (Nzaramba et al. 2009), and unique tiny bioactive proteins like Potato Carboxypeptidase Inhibitor (Blanco-Aparicio et al. 1998). Similarly, Proteinase inhibitor II, relatively abundant in potato and known to depress appetite, is being commercially extracted as a diet aid (Narasimhamoorthy et al. 2013). About 500,000 US citizens die from cancer each year, with costs estimated at $173B. Obesity costs an estimated $190B annually in the USA (Cawley and Meyerhoefer 2012). Concerns about cancer risk of food colorants (Okafor et al. 2016) could motivate pursuit of natural alternatives from potato, but we know of no systematic evaluation of germplasm for pigments with superior processing qualities. There is increasing recognition that the onset and severity of costly diseases depends on lifestyle choices, particularly diet. Potato’s high and regular consumption makes it a great candidate for delivering improved nutrition in an already familiar and popular food. Expansion of the beneficial use of potato into other outlets depends, of course, on how much the public knows and appreciates the benefits of making those eating changes, how much they cost, and how much the consumer is willing to pay for them. The example previously given of the value of chicken feet points out that all of the above opportunities for expanding the economic and nutritional impact of potato involve consumer preferences and other factors that might be specific to certain countries. Thus, a significant part of the challenge of extending potato outlets globally will be understanding how innovations that are impractical at home might be outstanding as exports. Avebe. 2017. http://www.avebe.com/potato-protein/. (Accessed 12/12/2018). Bretting, P. 2017. The National Plant Germplasm System: 2017 Status, Prospects, and Challenges. https://www.ars-grin.gov/nr6/tac/TAC_2017_Final_Package.pdf. (Accessed 12/12/2018). CDC Center for Disease Control. 2017. https://www.cdc.gov/stroke/facts.htm. Coherent Market Insights. 2018. Global salt substitutes to surpass US$1.51 billion by 2025. https://www.coherentmarketinsights.com/press-release/global-salt-substitutes-market-to-surpass-us-151-billion-by-2025-795. ERS. 2016. Cost of Thanksgiving vegetables varies from $0.18 to $1.16 per cup equivalent. USDA Economic Research Service. https://www.ers.usda.gov/data-products/chart-gallery/gallery/chart-detail/?chartId=78601. (posted 09/01/16, Accessed 12/12/2018). FMI Food Marketing Institute – Nielsen. 2017. https://www.fmi.org/digital-shopper. (Accessed 12/11/2018). French-Brooks, J. 2012. Reducing supply chain and consumer potato waste. WRAP (http://www.wrap.org.uk/) Research Report. 50 pp. Garfield, G. 2017. The CEO of Tyson Foods sees a growing demand for plant-based protein. Business Insider. http://www.businessinsider.com/tyson-foods-ceo-meatless-future-2017-3. (posted 03/07/17, Accessed 12/12/2018). Gasparro, Amy. 2018. A Spoonful of Sugar Helps the Sales Go Up: Cereal Makers Return to the Sweet Stuff. The Wall Street Journal online. April 5th. https://www.wsj.com/articles/a-spoonful-of-sugar-helps-the-sales-go-up-cereal-makers-return-to-the-sweet-stuff-1522937066. Accessed 12/11/2018. Grove, J. 2017. Times Higher Education. Do great minds think alike?—the THE/Lindau Nobel Laureates Survey. https://www.timeshighereducation.com/features/do-great-minds-think-alike-the-the-lindau-nobel-laureates-survey. (published August 2017, Accessed Oct 17, 2017). Helgi Library, 2018. 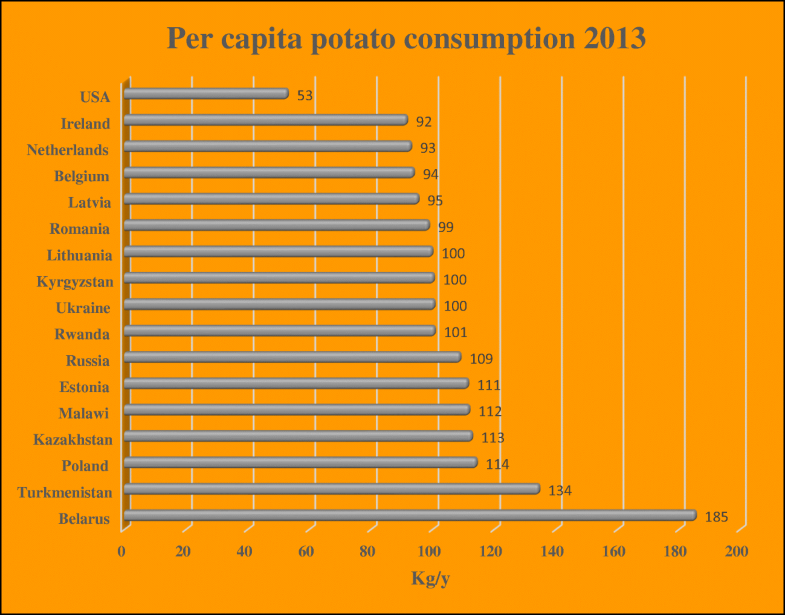 Download of potato consumption per capita by country (FAOstat 2013 data). https://www.helgilibrary.com/indicators/potato-consumption-per-capita/. (Acessed 12/12/2018). Hornby, L. 2017. China’s love of US chicken feet proves a recipe for a perfect trade. Financial Times: https://www.ft.com/content/90ebf59a-80bb-11e7-a4ce-15b2513cb3ff. (posted 08/14/17, Accessed 12/12/2018). Hoy, M., and J.D. Goldman. 2012. Potassium intake of the US population. Food Surveys research group dietary brief #10. September 2012. https://www.ars.usda.gov/ARSUserFiles/80400530/pdf/DBrief/10_potassium_intake_0910.pdf. (Accessed 12/12/2018). International Potato Center (CIP). 2018. https://cipotato.org/crops/potato/. (Accessed 12/12/2018). Lin, B-H, and R. Mentzer Morrison. 2016. A closer look at declining fruit and vegetable consumption using linked data sources. USDA-ERS: https://www.ers.usda.gov/amber-waves/2016/july/a-closer-look-at-declining-fruit-and-vegetable-consumption-using-linked-data-sources/. (Accessed 12/12/2018). Lutz, A. 2014. How Taco Bell's Lead Innovator Created The Most Successful Menu Item Of All Time. Business Insider: http://www.businessinsider.com/taco-bell-doritos-locos-taco-story-2014-2. (posted 02/26/14, Accessed 12/12/2018). Nassauer, S. 2014. Pitching Cereal for Dinner and Late Nights. The Wall Street Journal online. https://www.wsj.com/articles/selling-cereal-for-dinner-and-late-nights-1403133129. (posted 06/18/14, Accessed 12/12/2018). Plantz, Bruce. 2018. Potato major ingredient in both dog and cat food. Petfood Industry online Jan 02, 2018. https://www.petfoodindustry.com/articles/7032-potato-major-ingredient-in-both-dog-and-cat-food. Seed, The Untold Story. 2018. T. Siegel and J. Betz, co-producers and -directors. Collective Eye Films. https://www.seedthemovie.com/. (Accessed 12/12/2018). Skip the Pie. 2017. Nutrition search engine. https://skipthepie.org/nut-and-seed-products/nuts-pecans/compared-to/nuts-hickorynuts-dried/#nut. (Accessed 12/12/2018). Statista. 2017. Dollar sales of bakery products in the United States in 2016, by category (in million U.S. dollars). https://www.statista.com/statistics/457119/us-dollar-sales-of-bakery-products-by-category/. The Daily Show. 2015. The Return of a Simplot Conspiracy. Comedy Central. Youtube: https://www.youtube.com/watch?v=zY-UPHLJ31A. (published 04/23/15, Accessed 12/12/2018). Turner, N., S. Wang, and S. Soper. 2017. Amazon to Acquire Whole Foods for $13.7 Billion. BloombergTechnology. https://www.bloomberg.com/news/articles/2017-06-16/amazon-to-acquire-whole-foods-in-13-7-billion-bet-on-groceries. (posted 06/1617, Accessed 12/12/2018). USDA Nutrient Data Tables. https://ndb.nal.usda.gov/ndb/nutrients/index. (Accessed 12/12/2018). Verhaag, Bertram. 2009. 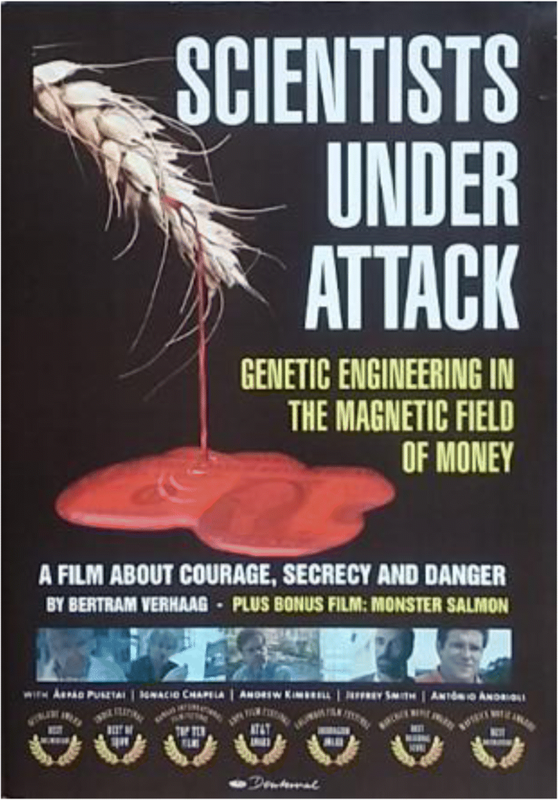 Scientists under Attack –Genetic Engineering in the Magnetic Field of Money. DVD documentary. 90 min. Distributed by Seeds of Deception, www.seedsofdeception.com . Vidal, J. 2012. Food shortages could force world into vegetarianism, warn scientists. https://www.theguardian.com/global-development/2012/aug/26/food-shortages-world-vegetarianism. The Guardian online. (posted 09/26/12, Accessed 12/12/2018). Zedan, D. 2015. The Pecan Market: How did we get here & where are we headed? Nature’s Finest Foods. http://www.nffonline.com/sites/default/files/2015%20S.%20African%20Pecan%20Assoc%20Presentation.pdf. (Accessed 12/12/2018). Zenner, S. 2016. Chewy sweetpotato dog treats. Bitz&Giggles https://bitzngiggles.com/chewy-sweet-potato-dog-treats/. Accessed 12/12/2018).